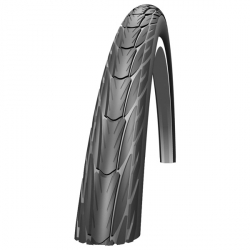 The Delta Cruiser is Schwalbe's basic line of touring bike tyres. 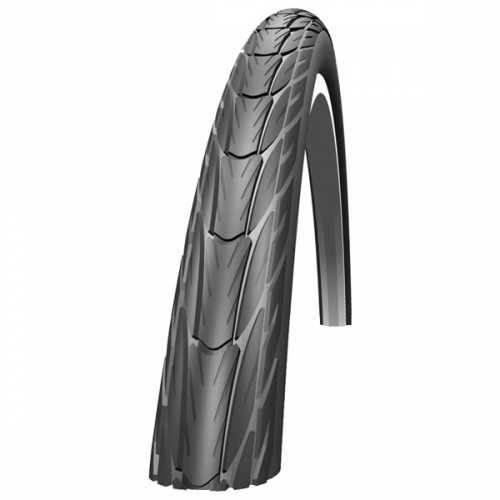 They're a quality tyre with a puncture resistant layer, but it doesn't offer such comprehensive protection against punctures as you get with the Marathon or Marathon Plus. However, the Delta Cruiser has a few advantages over those more expensive Schwalbe tyres: It's cheaper, lighter and comes in a variety of colour options including white-wall, and overall cream (white) colour. See the Additional Images for the cream colour. We've both ridden bikes with Delta Cruisers. They're good tyres. Judy currently has one on the front of her town bike, though when she wore out the rear we replaced it with a Marathon Plus. If you want cream or white-wall tyres, these are the best quality option. If unsure about what tyre size you need, please read our guide to choosing the correct tyre size.